↑ 龔煌城. "從原始漢藏語到上古漢語以及原始藏緬語的韻母演變" (PDF). 中華民國中央研究院. 喺2018年6月20號搵到. ↑ 無我（著）；孫天心、田阡子（譯）. "「跨喜馬拉雅語系」——兼論本譜系說對史前人群遷移之啓發". 知網空間. 喺2018年6月17號搵到. ↑ 3.0 3.1 "Sino-Tibetan languages". Ethnologue. 喺2018年6月17號搵到. ↑ 羅哲·布蘭池 (2009年). "If agriculture cannot be reconstructed for Proto-Sino-Tibetan, what are the consequences?（粵譯：若果農業唔能夠重構返原始漢藏語，後果會點？）" (PDF). 第42屆漢藏語言及語言學國際會議（ICSTLL 42）發表嘅論文. 清邁，2009年11月2號～4號. ↑ 崎谷滿 (2009年). 《DNA・考古・言語の学際研究が示す新・日本列島史》（粵譯：DNA、考古、語言學際研究所展示嘅新日本列島史）. 勉誠出版. ↑ 74.0 74.1 北村甫（編），橋本萬太郎等合著. 《講座 言語 第6巻 世界の言語》（粵譯：講座 語言 第六卷 世界語言）. 大修館書店. ↑ 75.0 75.1 下宮忠雄. 《世界の言語と国のハンドブック》（粵譯：世界語言同各國手冊）. 大學書林. 韓哲夫（Handel, Zev） (2008年). 2008: What is Sino-Tibetan? Snapshot of a Field and a Language Family in Flux（粵譯：2008 — 乜嘢係漢藏？語系同研究領域嘅快速寫真）. Language and Linguistics Compass, 2 (3): 422–441. doi:10.1111/j.1749-818X.2008.00061.x. 占士·李察臣·路根 (1856年). 《The Maruwi of the Baniak Islands》（粵譯：巴尼厄羣島嘅馬魯維）. Journal of the Indian Archipelago and Eastern Asia, 1 (1): 1–42. 占士·李察臣·路根 (1858年). 《 The West-Himalaic or Tibetan tribes of Asam, Burma and Pegu》（粵譯：阿參、緬甸、勃固嘅西喜馬拉雅、藏人部族）. Journal of the Indian Archipelago and Eastern Asia, 2 (1): 68–114. 曉·柯士甸（Hale, Austin） (1982年). 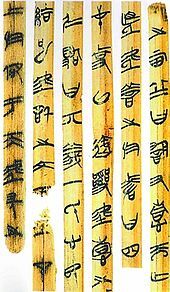 《Research on Tibeto-Burman Languages》（粵譯：藏緬語研究）. State-of-the-art report, Trends in linguistics, 14, Walter de Gruyter. ISBN 978-90-279-3379-9. 無我 (2001年). 《Languages of the Himalayas: An Ethnolinguistic Handbook of the Greater Himalayan Region》（粵譯：喜馬拉雅語言：大喜馬拉雅地區嘅民族語言學手冊）. Brill. ISBN 978-90-04-12062-4. 姚廖斯·吉拉普渴 (1823年). 《Asia Polyglotta》（粵譯：亞洲諸語）. 巴黎: B.A. Shubart. 恩斯特·官 (1889年). 《Beiträge zur Sprachenkunde Hinterindiens》（粵譯：印支語言學研究） (PDF). Sitzungsberichte der Königlichen Bayerischen Akademie der Wissenschaften, Philosophisch-Philologische und Historische Klasse, Sitzung vom 2 März 1889. 第 189～236頁. 愛德華·薩丕爾 (1925年). 《Review: Les Langues du Monde》（粵譯：回顧：世界語言）. Modern Language Notes, 40 (6): 373–375. JSTOR 2914102. 桑·普士路斯基、歌登·盧斯 (1931年). 《The Number 'A Hundred' in Sino-Tibetan》（粵譯：漢藏語言中嘅數字「一百」）. Bulletin of the School of Oriental and African Studies, 6 (3): 667–668. 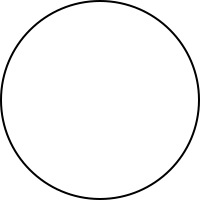 doi:10.1017/S0041977X00093150. 斯葛·德蘭士（Scott DeLancey） (2009年). 《Sino-Tibetan languages》（粵譯：漢藏語系） ，出自波納·琴里（Bernard Comrie）《The World's Major Languages》（世界主要語言，第二版）. Routledge. 第 693～702頁. ISBN 978-1-134-26156-7. 李方桂 (1937年). 《Languages and Dialects》（粵譯：語言同方言），出自《The Chinese Year Book》（中文年鑑）. Commercial Press. 第 59～65頁. ，重印版係： 李方桂 (1973年). "《Languages and Dialects of China》（粵譯：中國嘅語言同方言）". Journal of Chinese Linguistics. 1 (1): 1～13. JSTOR 23749774. 馬提索夫 (1991年). "《Sino-Tibetan Linguistics: Present State and Future Prospects》（粵譯：漢藏語言學：目前狀態同未來展望）". Annual Review of Anthropology. 20: 469～504. JSTOR 2155809. doi:10.1146/annurev.anthro.20.1.469. 萊·安德魯·美勒（Roy Andrew Miller） (1974年). "《Sino-Tibetan: Inspection of a Conspectus》（粵譯：漢藏：概論檢驗）". Journal of the American Oriental Society. 94 (2): 195～209. JSTOR 600891. doi:10.2307/600891. 白保羅 (1942年). "《Thai, Kadai, and Indonesian: A New Alignment in Southeastern Asia》（粵譯：泰、仡央-黎、印尼：東南亞嘅新定位）". American Anthropologist. 44 (4): 576～601. JSTOR 663309. doi:10.1525/aa.1942.44.4.02a00040. 白保羅 (1972年). 《Sino-Tibetan: A Conspectus》（粵譯：漢藏語概要） (PDF). 劍橋大學出版社. ISBN 978-0-521-08175-7. 羅弼·沙佛 (1955年). "《Classification of the Sino-Tibetan languages》（粵譯：漢藏語言嘅分類）". Word (Journal of the Linguistic Circle of New York). 11 (1): 94～111. doi:10.1080/00437956.1955.11659552. 羅弼·沙佛 (1966年). 《Introduction to Sino-Tibetan》（粵譯：漢藏語入門）. 威斯巴登: Otto Harrassowitz. ISBN 978-3-447-01559-2. 馬提索夫 (2003年). 《Handbook of Proto-Tibeto-Burman: System and Philosophy of Sino-Tibetan Reconstruction》（粵譯：藏緬祖語手冊：漢藏語擬構嘅系統同哲學）. 柏克萊: 加州大學出版社. ISBN 978-0-520-09843-5. 白桂思 (1996年). 《The Morphological Argument for the Existence of Sino-Tibetan》（粵譯：漢藏語系存在嘅形態論爭）. 曼谷: 馬希竇大學. 第 812～826頁. 白桂思 (2002年). 《The Sino-Tibetan problem》（粵譯：漢藏語系嘅問題）. Medieval Tibeto-Burman languages. 第 113～158頁. ISBN 978-90-04-12424-0. 白一平 (1992年). 《A Handbook of Old Chinese Phonology》（粵譯：上古漢語音韻手冊）. 柏林: Mouton de Gruyter. ISBN 978-3-11-012324-1. 包擬古 (1980年). 《Proto-Chinese and Sino-Tibetan: data towards establishing the nature of the relationship》（粵譯：原始漢語同漢藏語：構建本質關係嘅數據）. 萊頓: E. J. Brill. 第 34～199頁. ISBN 978-90-04-06130-9. 白桂思 (2002年). 《Introduction》（粵譯：介紹）. Medieval Tibeto-Burman languages. ISBN 978-90-04-12424-0. 無我 (2014年). 《Trans-Himalayan》（粵譯：跨喜馬拉雅） (PDF). 柏林: de Gruyter. 第 11～40頁. ISBN 978-3-11-031083-2. 杜冠明 (2003年). 《A subgrouping of the Sino-Tibetan languages》（粵譯：漢藏語言嘅下層類群）. 倫敦: Routledge. 第 3～21頁. ISBN 978-0-7007-1129-1. 龔煌城 (1980年). "《A Comparative Study of the Chinese, Tibetan, and Burmese Vowel Systems》（粵譯：中文、藏文、緬甸文元音系統嘅比較研究）". Bulletin of the Institute of History and Philology. 中華民國中央研究院. 51: 455～489. 拿芬·W·曉（Hill, Nathan W.） (2014年). "《Cognates of Old Chinese *-n, *-r, and *-j in Tibetan and Burmese》（粵譯：上古漢語*-n, *-r, *-j喺藏文同緬甸文嘅同源詞）". Cahiers de Linguistique Asie Orientale. 42 (2): 91～109. doi:10.1163/19606028-00432p02. 佛蘭茨·尼古留斯·芬 (1909年). 《Die Sprachstämme des Erdkreises》（粵譯：世界語言羣落）. 萊比錫: B.G. Teubner. 桑·普士路斯基 (1924年). "Langues sino-tibétaines". 《Les langues du monde》（粵譯：世界語言）. 第 361～384頁. 羅傑瑞 (1988年). 《Chinese》（粵譯：中文）. 劍橋: 劍橋大學出版社. ISBN 978-0-521-29653-3. 基夫·泰勒（Taylor, Keith） (1992年). "The Early Kingdoms（早期王國）". 《The Cambridge History of Southeast Asia Volume 1: From Early Times to c. 1800》（粵譯：劍橋東南亞史，第一卷，從遠古到1800年代）. 劍橋大學出版社. 第 137～182頁. ISBN 978-0-521-35505-6. doi:10.1017/CHOL9780521355056.005. 朱利安·K.屈里（Wheatley, Julian K.） (2003年). "Burmese（緬甸文）". 《The Sino-Tibetan languages》（粵譯：漢藏語言）. 倫敦: Routledge. 第 195～207頁. ISBN 978-0-7007-1129-1. 尼古拉·圖那德（Nicolas Tournadre） (2014年). "The Tibetic languages and their classification（藏語支語言同佢哋嘅分類）". 《Trans-Himalayan Linguistics: Historical and Descriptive Linguistics of the Himalayan Area》（粵譯：跨喜馬拉雅語言學：喜馬拉雅地區嘅歷史語言學同描寫語言學）. De Gruyter. 第 103～129頁. ISBN 978-3-11-031074-0. 無我 (2005年). "Tibeto-Burman vs Indo-Chinese（藏緬同印支）". 《The Peopling of East Asia: Putting Together Archaeology, Linguistics and Genetics》（粵譯：東亞人群：結合考古學、語言學、遺傳學證據） (PDF). 倫敦: Routledge Curzon. 第 81～106頁. ISBN 978-0-415-32242-3. 羅哲·布蘭池、麥·蒲斯特 (2014年). "Rethinking Sino-Tibetan phylogeny from the perspective of North East Indian languages（從印度東北語言嘅角度重新思考漢藏語系嘅系統發育）". 《Trans-Himalayan Linguistics》（粵譯：跨喜馬拉雅語言學）. 柏林: Mouton de Gruyter. 第 71～104頁. ISBN 978-3-11-031083-2.